Established 1974 as a designer and fabricator of heat exchangers for the boiler and solar industries, Heat Transfer today is a full-fledged manufacturer on the cutting edge of energy-efficient water heating technology. Although the company makes a wide assortment of water heating products and system components, it is best-known for its indirect-fired water heaters, first introduced in 1980; and, more recently, for its state-of-the-art lineup of condensing, modulating (“ModCon”) boilers. 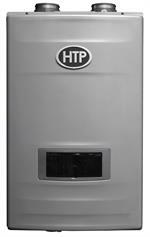 Heat Transfer was the first U.S.-based manufacturer to bring a condensing gas water heater to the domestic market, unveiling the Voyager in 1994. 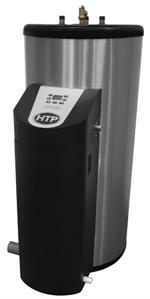 Its condensing technology not only delivered a thermal efficiency of up to 98% (versus 80% for most conventional commercial gas water heaters), but also reduced flue-gas temperatures enough to permit venting with less expensive, easier-to-install PVC pipe. Two years later, Heat Transfer delivered yet another breakthrough with the launch of the Munchkin. This highly compact boiler coupled condensing technology with a modulating burner to further trim energy costs by aligning the burner’s firing action to present demand. The Phoenix Modulating Condensing Water Heater delivers both space heating and domestic hot water in a single package with a combustion efficiency rating of 96%. 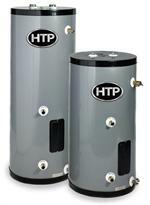 Side tappings in the rustproof water heater jacket allow ready piping connections to air coils for space-heating applications. Designed especially for multi-family and commercial applications, the Phoenix can be vented up to 85 feet (intake and exhaust piping combined) with 2-inch or 3-inch Schedule 40 PVC piping, depending upon to the model. 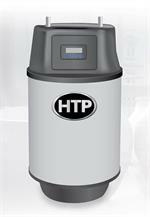 It also requires zero clearance to combustibles, further enhancing installation flexibility. “With two high-efficiency systems in one, the Phoenix should more than pay for itself over time,” says Davis.